I have two Colecovisions, one of which works. I bought it after I received the first one, which I was told had spent about 20 years in a roofless shed in a hurricane-prone area. Needless to say, it does not function properly. 1. 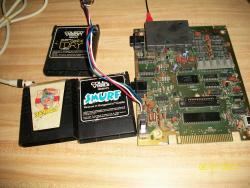 The problem must not be the power supply, since it properly powers the working Colecovision. Also, the Atari 2600 module still works with the broken Colecovision, so it must be getting enough power. I have also tested this with a second power supply. 2. The problem may be the power switch, but I doubt it. Even when I would get the Atari 2600 module to work, it occasionally took a couple of turn-on attempts and some pressure on the power swtich. However, I have never seen the Colecovision BIOS screen appear, and I would assume that if the issue was just poor switch contacts that I would eventually get the BIOS screen to appear. 3. The sound chip works. This I assume because I still get a constant tone when I turn it on, and the tone isn't always the same. I'm guessing it's just outputting whatever random value it starts with. I've wondered if this implicates the CPU or the BIOS since I would assume one of the first things it would do is set the sound chip to output no sound. 4. The video chip probably works. 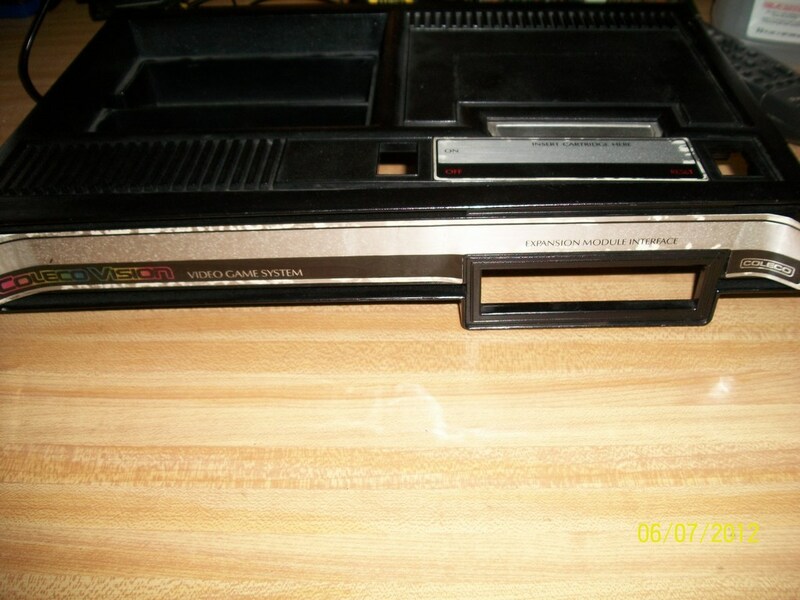 I found that with a cartridge inserted, I could occasionally get random color bars to appear on screen after jiggling the power switch some or rapidly turning the console on and off. However, it's very rare that I manage to achieve this, and I only remember it happening from when I first attempted to repair the console a few years ago. 1. Which component is most likely to fail and cause this to happen? 2. If a chip has failed, I know that most of them are (or were) common and could be replaced, but what about the BIOS chip? 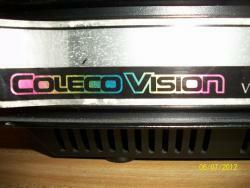 I'm sure these can only come from other Colecovisions, and I would prefer to repair mine with destroying another. If I do need to replace the BIOS chip, would it be possible to create a custom chip? 3. Could it be a capacitor? I've never encountered a faulty dielectric capicitor, but I've read that their tops puff out when they leak. How visible is that effect? 4. What can I do to diagnose the problem? If need be, I might be able to borrow an oscilloscope. 5. I've seen mention of a Colecovision service manual which gives detailed information on how to test each of the components. Does a .pdf of it exist anywhere? Edited by InfiniteSquareWell, Thu Jun 7, 2012 3:48 PM. I would love to see a picture of this CV that has endured 20 years of hell. You didn't mention that you've cleaned it up. When I say cleaned, I mean totally disassembled and cleaned up. Cart ports, switches, controllers, everything. Sounds like it really needs it. 20 years in that type of environment will bring on the age of anything. When it was given to me, it had abandoned bug nests inside of it, the shielding was rusty, and the contacts were noticeably dirty. I did clean it then, and now it's not as bad as you would think. The peeled label is my fault because I thought at the time that you needed to remove the front panel to lift the top, and the three screws were underneath the label. The games all work, but their labels are brittle and falling off. I haven't cleaned the power switch yet, but I plan on doing so as soon as I find some dielectric grease for it. I've skimmed through the technical manual, and it's clear that I'm going to need an oscilloscope to test all of the chips. The manual provides troubleshooting flow charts for various problems, one of which is no picture. The chart asks me to check that pin 36 of the VDP is "good," but it does not say how to do this. Other indicated pins have oscilloscope graphs in a later section. That pin, however, is the monochrome Y output, and so I attempted to test it by touching the tip of an RCA cable to the pin with the other end connected to the composite input of an old CRT TV, and I appeared to just get a clearer black screen. I think it's outputting properly since the signal engages the screen, but I don't know how to check it properly. Edited by InfiniteSquareWell, Thu Jun 7, 2012 9:49 PM. I'd say that system looks recoverable, and you did a good job getting it cleaned up. As far as the chips, I'd recommend that you talk to Yurkie here on the boards. He is our go-to guy for CV repairs, and can offer other services as well, such as A/V and pause mods. 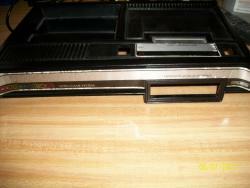 Have you thoroughly cleaned the cartridge slot pins on this console? Get some electronic parts cleaner at Radio Shack, or deoxit, and soak the main board (both sides), and all contact pins with the stuff. Spray parts cleaner into the power switch and flip it back and forth 5-10 times to clean out any accumulated grime. You may be surprised and find it cures the system of all that ails it. I would say there are far to much damage to try to revive a unit that faced that much environmental abuse, I would pull the VDP and use it in a unit that needed a replacement and junk the rest. You could very likely have shorts between traces that are underneath ICs that are not even visible. Yes I have, although I expect the problem lies elsewhere since I should still see the intro screen without a cartridge inserted. Well, I'm not going to give up that easily. I will, however, put off the project until I acquire an oscilloscope. By your statement, I assume a replacement VDP chip would be hard to come by, and so the unit would essentially be lost if the VDP were damaged. What would cause shorts underneath the ICs? VDPs are hard to come by and a common failure as much or more so than DRAM. I am all about saving CVs, but considering the abuse this system was exposed to, I think it better to not bother. Water and contaminants puddling under ICs could eat away and bridge the spaces between traces causing shorts. If you where to carefully desolder the VDP and insert into a socket on a unit that needed one, you would be using this old abused unit to bring another system back to life. One other thing you should look over closely is the condition of the pins in the cartridge jack, how badly are they corroded? If they are as bad as I imagine they would be, do you want to replace the cartridge jack? Was exposure so great that even the ceramic capacitor got damaged? The electrolytic capacitors should be replaced and there is one under the rf module and one attached to the under side of the RF board, plus the ones that you can see mounted to the motherboard. Just so many things. Something like a resistor got a crack in it and water is shorting it out. Or not likely, but what if someone plugged it in years ago when it was full of water/moisture and shorted a bunch of components out and put it back where it was found? If your willing to go to any lengths to save it, I wish you all the luck in the world. 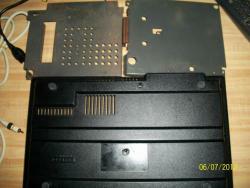 First and all I'd suggest to use isopropyl alcohol to clean the PCB from both sides (also RF PCB). I'd start checking the Z80 with a logic tester, first pin 6 (CLK) to see if clock generation is working, then pin 19 (MREQ) for memory access and pin 20 (IORQ) for VDP access. 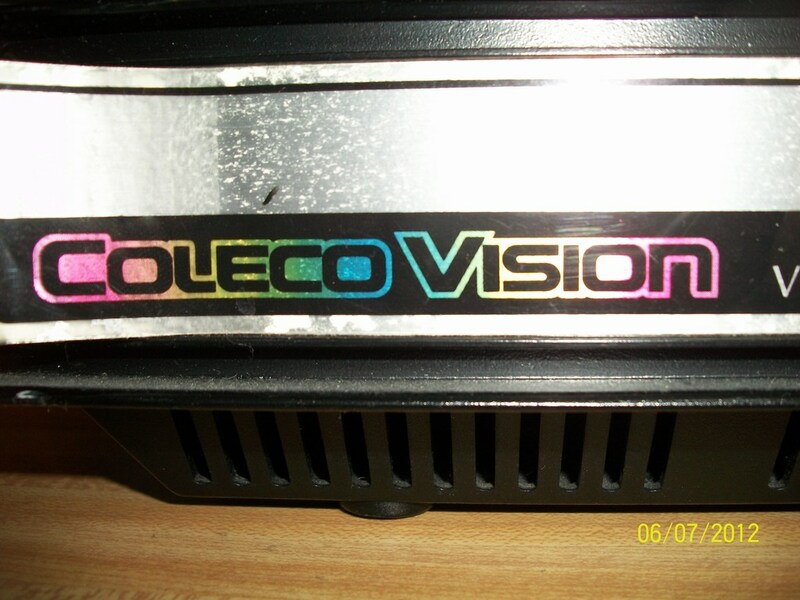 The first thing that Coleco BIOS does is to turn off sound, if it doesn't do this (as you said), then the decoders aren't working or the ROM BIOS is damaged. If sound is turned off the next part to check is the 1K RAM. I finally managed to borrow an oscilloscope for a brief time, but I still have not diagnosed the problem. Most of the oscilloscope waveforms provided by the technical manual were unhelpful since most were given for the blue game select screen, which of course I could not reach. I did confirm that the clock is working properly, and I did get signals for MREQ and IORQ on the Z80, and so I suspect that the processor works. I am now more suspicious of the BIOS chip, but I have no idea how to test it since the technical manual offered no advice on diagnosing a faulty BIOS chip. The schematics were extremely helpful, although I am confused by the depiction of the BIOS chip in the schematic. The BIOS chip only has 24 pins, but the schematic has pins numbered above 24. I assume the four unoccupied holes between the chip and the "U2" label have been included, but where does the numbering start? I'm guessing that pins 1, 2, 27, and 28 are the unoccupied holes, and that the first pin on the chip itself is pin 3. At this point, I'm about to give up. I cleaned the power switch just in case that was the problem, but it did not make a difference. Does anyone have any suggestions for testing the BIOS chip? I'm sure a logic tester would be helpful, but can I use a multimeter as a substitute? Sounds like a valiant attempt was made. Good job! Not just time to give up. Some ideas to test BIOS. You should be looking for outputs with your oscilloscope, you should see peaks going from 5V+ to near 0V. If outputs doesn't activate, then check the input signals, maybe the 74LS138 doesn't receive the signals. If pass 1 is working, then you should do a continuity check from both 74LS138 to Z80 and BIOS to Z80, check every address and data pin. If every line is right, the you should check every address input and data output with oscilloscope to see changes, in case one data doesn't change it can signal a broken BIOS. I'm suspecting of broken lines in PCB (maybe a scratch). In this case you could use your multimeter as a continuity tester. Another option is oxyde between pins making contact, again use the multimeter. By the way, don't forget to test the RESET pin of Z80, it should be at 5V+ commonly and only change to 0V when pressing the button. A frozen button could get it eternally in RESET. Damn! And I was hoping for a fix at the end of this one! !